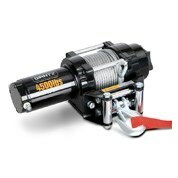 Winches are the ultimate tool for pulling and lifting almost everything and anything. They can be used for a wide variety of purposes including pulling boats, cars, lifting heavy loads, lifting fallen branches and more. The range at MyDeal Australia offers a wide variety of designs, offering various functionalities, add ons, rope length and weight limitations. Our range begins with styles used for lifting lighter objects such as tree branches, raising sales, fabric and lighter loads. Our designs for lighter loads can typically hold up to 550 LBS. The heaviest load our designs can hold is 130,000 LBS. These products are ideal for industrial work such as labouring and building. 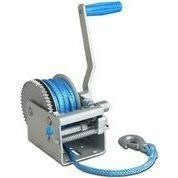 We have electric lifting winches and those which you can manually wind such as gear winches. 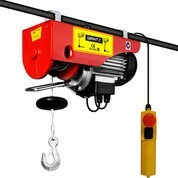 We have hoist designs which are defined by their ability to hang from above. 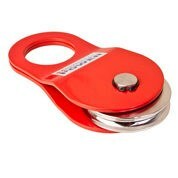 They are used for lifting items such as boxes, loads and materials. Our products are designed for pulling weights such as cars and boats. They are available in electronic which enable you to control it with the touch of a button. We also have products with attached handles which enable you to control the pull manually. This range is highly affordable as our products are reduced up to 50% off. This is the perfect range for businesses, as you can purchase your tools in bulk and save money. We ship to all major cities in Australia including Melbourne, Sydney, Queensland and Adelaide. We also have other Material Handling products available, such as Jack Lifts.